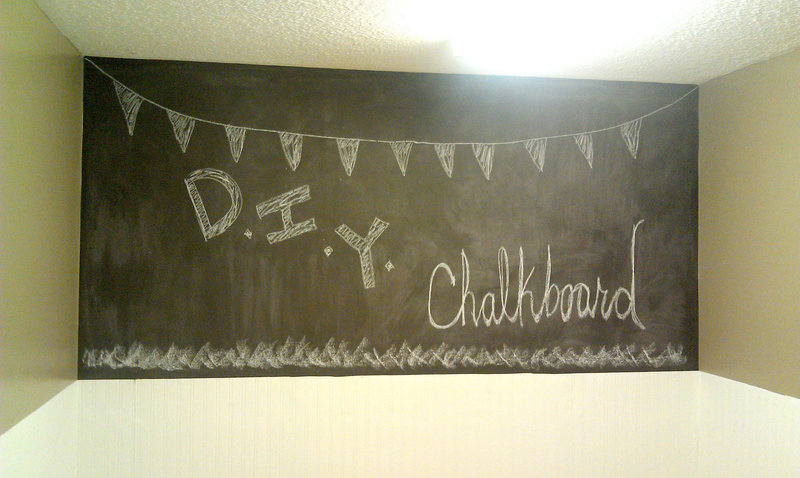 I have read so many websites on how to make your own chalkboard paint, but I didn’t believe it could be this easy! We have two music schools with eight teaching rooms. 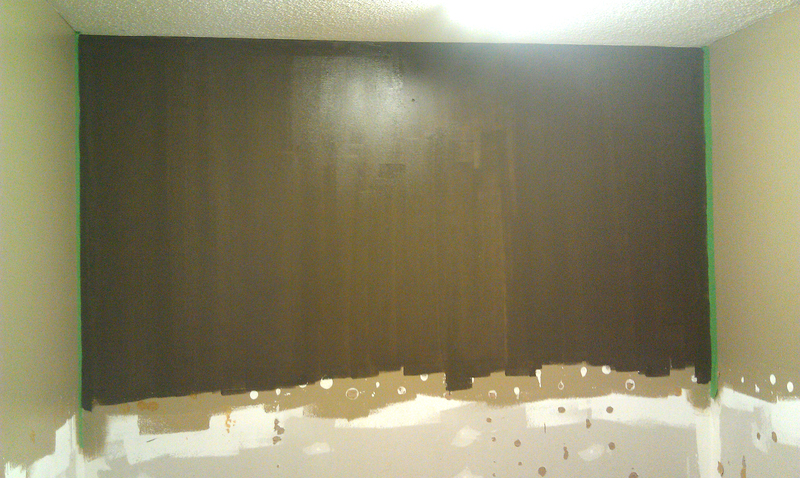 Most rooms have white boards, but they didn’t have the look I wanted when we started remodeling the rooms, so I started looking into making my own chalkboard paint to paint entire walls (after pricing a quart of chalkboard paint at $25). This cost about the same for a whole gallon. 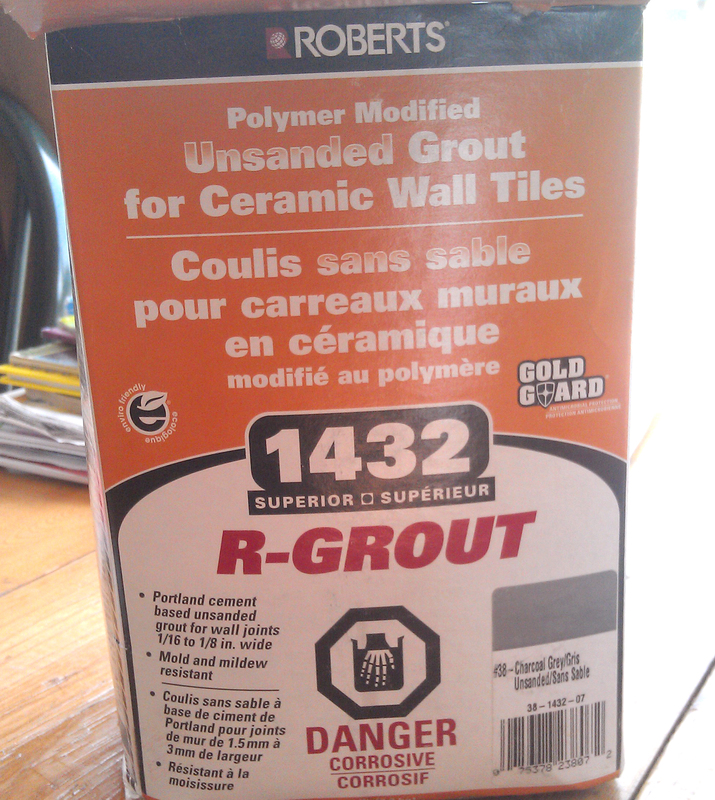 Mix 1 tbsp grout to 2 cups of paint. Stir, stir, stir and paint!! That easy 🙂 I needed three coats to cover, but it looks amazing. One thing I should mention is that it thickens pretty quick, so I used a fan to dry it as fast as possible in between coats. After it has dried for a couple days, cure it by covering the whole thing in chalk (using the side of a piece of chalk) and then wash it off with a damp rag. Now you are ready to doodle, decorate or do whatever you want with it! Wow! That looks great! 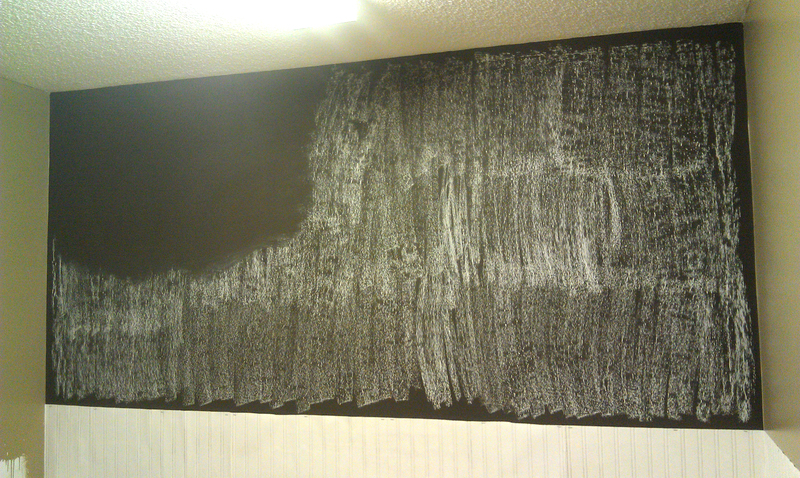 I’ve been thinking about doing a chalkboard wall in my son’s room for a while – you are inspiring me! It was so easy! A couple things I forgot to mention…..it thickens up pretty quick so you need to be speedy and it was 1 tbsp to 2 cups 🙂 I need to change that right now. My husband informed me I was wrong since he was the one that mixed it!! Good luck with your wall. Send over some pictures when you are done!